My comments on mowing honeysuckle are similar to fire. You can’t kill honeysuckle roots by mowing it. But you can reduce a huge shrub to a tiny re-sprouting shrub that can then be easily treated with herbicide. Mowing down the tall shrubs also stops them from producing fruits and hence seeds, and gives needed sunlight to other plants you are encouraging. So mowing is great but follow up will eventually be needed. 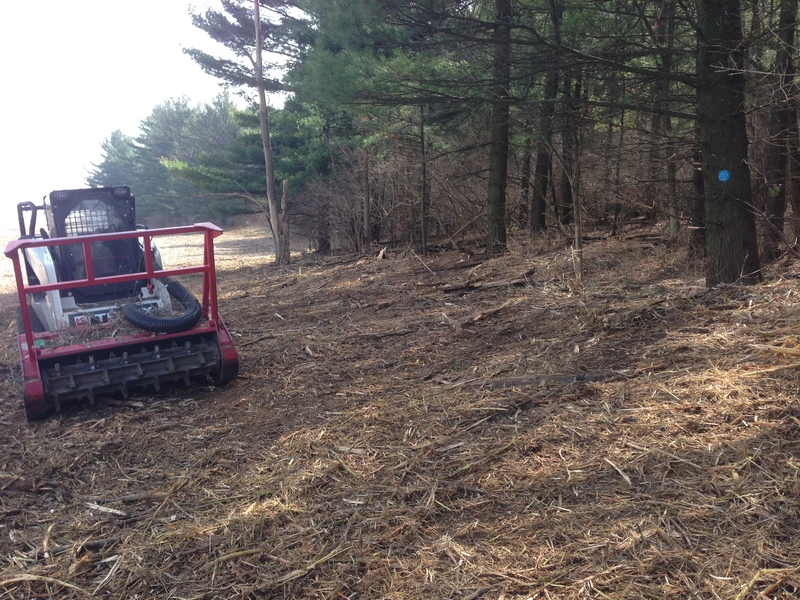 When we encounter those big thickets of brush our first step is often to brush mow it with our tracked skid loader. After mowing, the problem area is open and easier to manage. Light can get to the ground, air can flow through the habitat working to reverse mesophication (increased shade and moisture changing the composition of the habitat to species liking those conditions). Fire should be able to carry across the habitat. 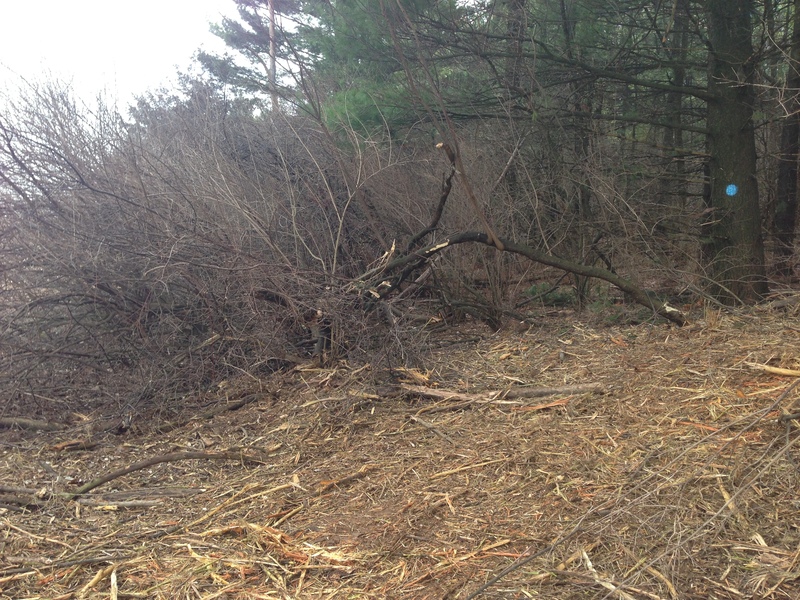 It may take a few years for the herbaceous layer to grow back and support fire. Photos are before and after brush mowing. Pulling honeysuckle from the ground. Below is an implement I have not tried. 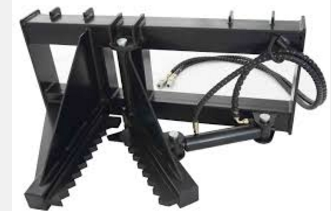 You attach this to your skid loader and drive up to a shrub, grab it, and pull the shrub from the ground. I am sure this kills the shrub. I assume also it disturbs a fair amount of ground. Try it in ruderal areas and let us know.